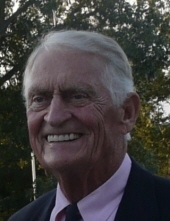 Benjamin “Ben” Howell Cranston, 87, of Hopewell Township passed away peacefully on Wednesday, April 3rd, at the Bristol-Myers Squibb Trauma Center at Capitol Health Medical Center surrounded by his family. Born in Lawrenceville, Ben’s parents were the late Mildred and John Cranston. He is predeceased also by his Aunt Alice Trought and brother John Dean Cranston. Ben graduated from Trenton High School and Trenton Junior College. His education was interrupted when he contracted polio. Although being told he would never walk again, he was driven to regain his physical strength and eventually became a United States Marine. In the U. S. Marine Corp, Ben earned recognition for his marksmanship skills and had extensive combat experience in the Korean War. Ben's military service was further distinguished as he received the National Defense Service Medal, the United Nations Service Medal and the Korean Service Medal with two stars. After Ben returned from the Korean War, he continued his education at Drexel University where he received a BS in Mechanical Engineering and an MS in Materials Engineering. He began his career at Bell Labs/AT&T while attending Drexel University. Starting as a technician, Ben’s career advanced over thirty-four years which included many highlights of his leadership of groundbreaking and innovative research. He retired as a Distinguished Member of the Research Staff and had earned over 20 U.S. patents and numerous awards. Ben was a long-time member and devoted elder at the Pennington Presbyterian Church. He also served as a member of the Facilities Committee. He embraced an active role in giving back to the community and regularly volunteered at the Trenton Soup Kitchen. From a young boy, Ben always enjoyed the outdoors – hunting, fishing, hiking, exploring and camping. Ben and his dog could often be found in the local woods where he honed his outdoorsman skills. In his later years, he developed a passion for skiing and golfing. Ben shared his passion for skiing with his family and they would spend many winter vacations together skiing the mountains of Vermont. In the warmer months, Ben and Peggy would join their friends on the various local golf courses. Ben was a member of the Hopewell Valley Golf Club for over 30 years where he served on the Board of Directors. Ben is survived by his loving wife of 39 years, Peggy, along with two daughters, Stacy C. Confer and Tricia K. Borchert as well as his son-in-laws, William G. Borchert Jr and Fred R Confer IV. One of his greatest pleasures was enjoying time with his grandchildren, Thomas M. Bahr III, Brett A. Confer, Cameron B. Confer, Chiara A. Borchert, and Chantelle A. Borchert. He is also survived by his two nephews, Matthew and John Cranston, his sister-in-law, Donna Bottin and her husband, Jim Bottin and their children Ryan, Lindsay and Devon. A celebration of Ben’s life will be held on Saturday, April 13th at 2pm at the Pennington Presbyterian Church (13 South Main Street, Pennington NJ 08534) with reception to immediately follow. In lieu of flowers, memorial gifts may be made in Ben’s name to the Pennington Presbyterian Church or the Trenton Area Soup Kitchen. To send flowers or a remembrance gift to the family of Benjamin Howell Cranston, please visit our Tribute Store. "Email Address" would like to share the life celebration of Benjamin Howell Cranston. Click on the "link" to go to share a favorite memory or leave a condolence message for the family.